What can you say? 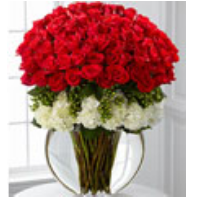 This magnificent display of long stem roses will impress beyond belief. 100 stems of long stem red roses delivered by a real local florist. Please note that the vase style will vary.